How have you been so far? September is here. So is our newsletter. Check out our new classes and the kids classes available this month. 1) Big shot club member to come on down to receive the member card and at the same time purchase dies at a very special price. 2) $2 item at buy 10 get 5 FREE!!! 4) Purchase any 2 foamies, punches or stamps and receive a 20% rebate voucher to be used storewide in October. We hope to see you real soon. By the way, pls take note that both Simei and Siglap will be close on 27 August for election day. We will be back for business on 29 August. See you then. Thanks for the overwhelming response, the Flowers Bento is totally sold out. But our new shipment should be coming in soon. See what our DT has designed for us this time. Don’t you think this is simply beautiful? This is designed by Kelvin – our talented Designer. 🙂 It is a MDF birdhouse tissue box. Don’t you think it will look simply beautiful in your living room? Come on down to sign up for this class soon before the boxes are all gone. 🙂 See you soon! Look what we have instore for you today! Our latest housebrand roses has just arrived in very limited quantity. comes in 3 different sizes, 2 pcs of 2″, 2 pcs of 1.5″, 2 pcs of 1″, all for $9.90 per set of 6. Come on down now before its all gone. See you soon!! Check out what we have in store. Our latest alterable. 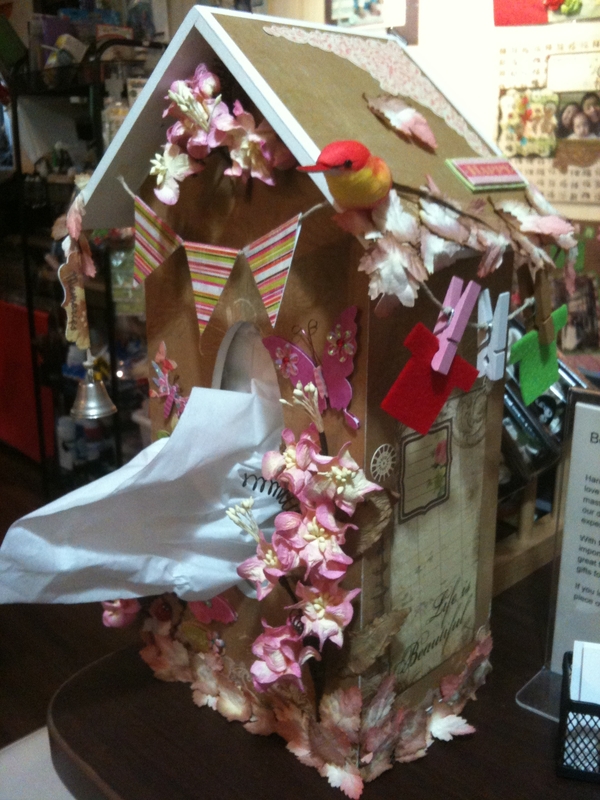 This is our housebrand shadow box. The inside of the box is 8″ by 8″. A wonderful size to alter. 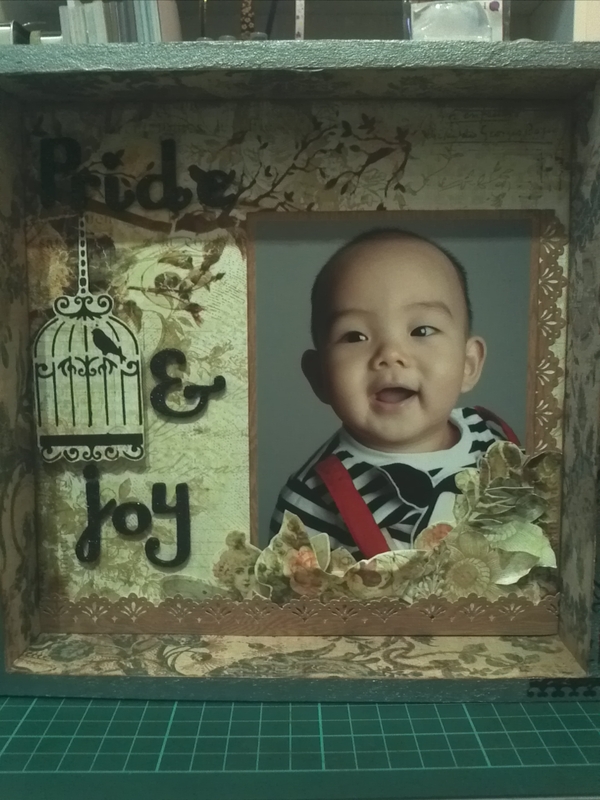 Look at how Kelvinhas designed his shadow box. For the real product, you can check it out at our Simei outlet.